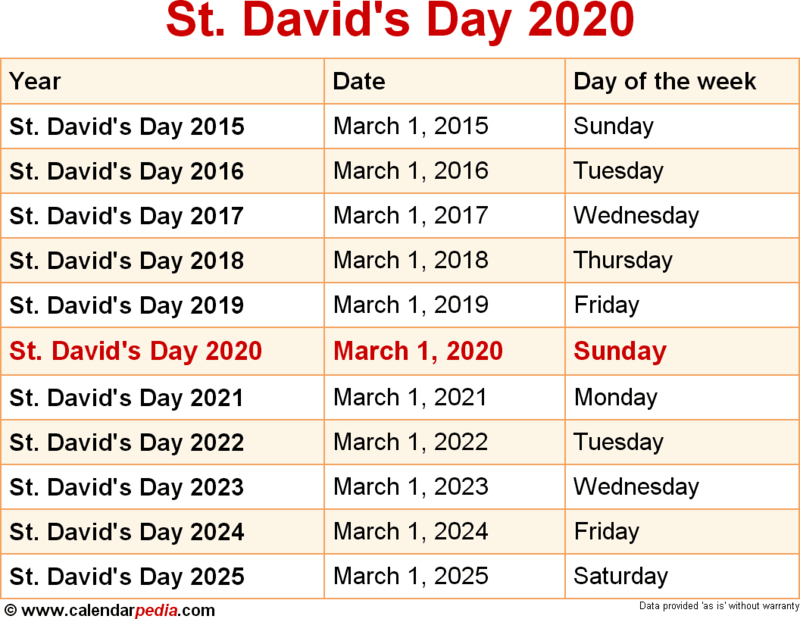 When is St. David's Day 2020? What is St. David's Day? St. David's Day is a Christian feast day celebrated annually on March 1 in honor of Saint David, the patron saint of Wales ("Dewi Sant" in Welsh), who is said to have died on March 1, 589, though that date is not certain. David was a native of Wales and a member of the royal family of Cunedda. He rose to fame as archbishop and founder of a number of monastries. On St. David's Day daffodils and leeks, the national emblems of Wales, are worn, in a tribute to Saint David who is said to have eaten only leeks when fasting and to have advised soldiers to wear leeks on their helmets in a battle against Saxons so they could distinguish each other from the enemies. Cities and towns in Wales hold parades on the day, flying the Welsh flag (or alternatively the flag of Saint David, a yellow cross on a black field) and displaying dragons, another symbol of Wales. Recitations and choir singing is performed, and the national anthem is played. 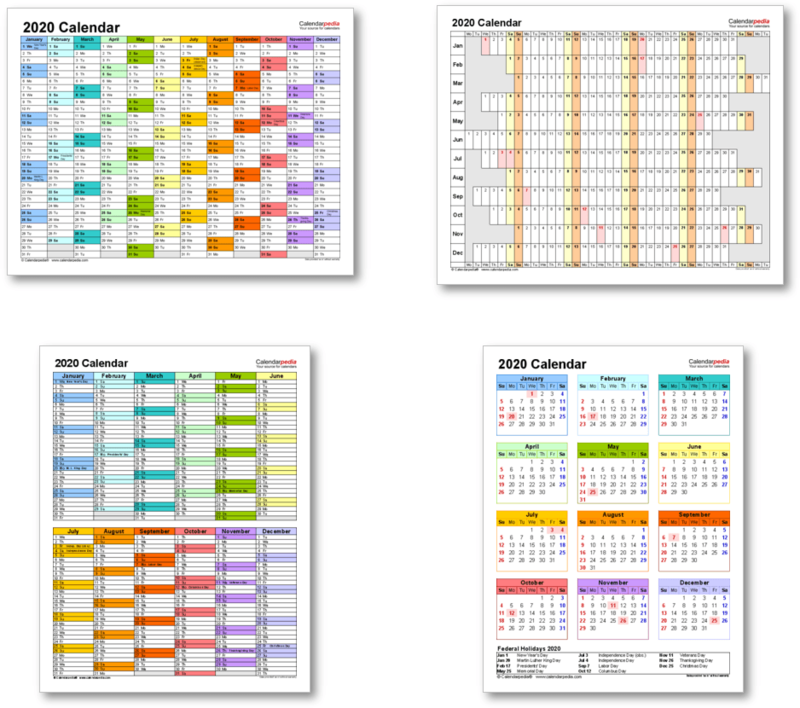 When is St. David's Day 2021? The next occurrence of St. David's Day is marked in red.